Authorities in New Hampshire have identified the body of a man found Tuesday afternoon in Rindge and determined that his death is a homicide. 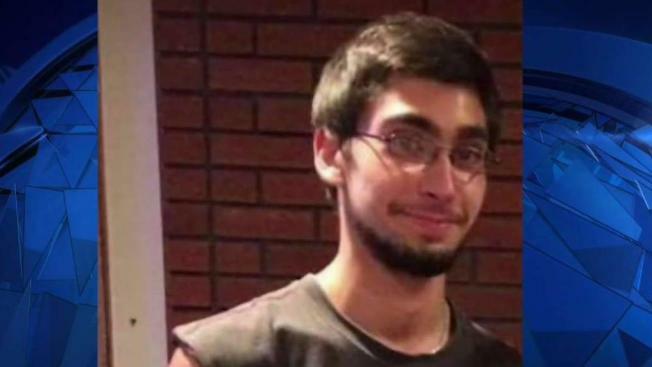 The body of 20-year-old Brandon Chicklis, of Westminster, Massachusetts, was found off Route 119, according to the attorney general's office. Chicklis was last seen on June 26. It was supposed to be a belated Father’s Day celebration. "Something happened, and that's what we don't know," said Paul Chicklis. "He was coming here to see me so we could have dinner and spend some time together for Father's Day." But the dinner never happened. His son didn't show up. "We just need to find out who did this to my son that didn't deserve this horrific end to his short life," said Chicklis. Brandon Chicklis was living with his girlfriend and her family in Westminster, and he was on his way to visit his father in Windham, New Hampshire, when he disappeared. Family members knew something was wrong immediately. "Foul play," was the first thought of Louisa Rocha, the victim's grandmother. "If he said he was coming here, he would have been here," said Rocha. "There was no way Brandon would not show up without calling, saying 'Hey, my plans changed and I can't make it today.'" There were no clues until his car was found almost a week later in the parking lot of a Hannaford supermarket in Rindge, not even close to the route he would have taken to Windham. With the car, they finally had a lead, beginning to hand out flyers and search the woods near Rindge. "We've been looking," said Rocha. "Looking and looking. Making phone calls, everything." Then came the devastating news. A body was found by a jogger Tuesday, and Friday afternoon, investigators told the family the body was Brandon Chicklis — the young man they called "Bumblebee" since he was born — and it was a homicide. "If anybody has any information or knows of anything that could potentially help us find who did this to Brandon, we would be forever grateful and we appreciate any, any help," said Kristen Beevers, Chicklils' stepmother. Authorities have not said how Chicklis was killed. They are looking for tips that could help solve the case. Family members are also urging the public to come forward with any information. "It's a homicide, so we need to know who did this to him," said Rocha. Anyone with information is asked to call 603-223-8729. A fundraiser has been set up to help the family with funeral costs.